Now hosted at BooksandaBeat! (I really need to change my graphic). Musing Mondays is a weekly meme that asks you to choose a prompt to answer. It’s finals week so any reading I get done is going to be done on the commute to and from school (and maybe when I’m having a relaxing bath). 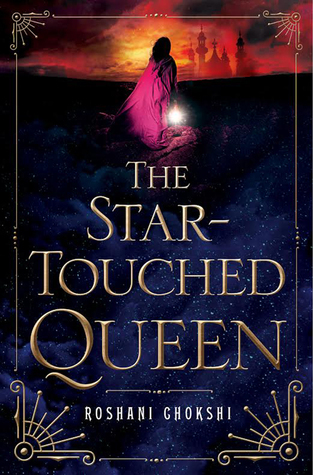 The Star-Touched Queen by Roshani Chokshi. I was approved for it on NetGalley and it’s published on the 26th of this month. I would really like to complete it and get a review out before that date. But Akaran has its own secrets — thousands of locked doors, gardens of glass, and a tree that bears memories instead of fruit. Soon, Maya suspects her life is in danger. Yet who, besides her husband, can she trust? With the fate of the human and Otherworldly realms hanging in the balance, Maya must unravel an ancient mystery that spans reincarnated lives to save those she loves the most. . .including herself. Random Question: A book everyone should read at least once. 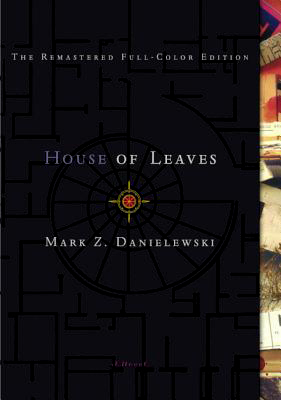 House of Leaves by Mark Z Danielewski. It’s written in a different format with some pages only containing a few words and placed in a shape. There are also footnotes throughout the book too. It’s such an interesting concept and everyone that reads it ends up loving it. “The story remains unchanged, focusing on a young family that moves into a small home on Ash Tree Lane where they discover something is terribly wrong: their house is bigger on the inside than it is on the outside. What’s your answer to the random question? What are you planning on reading next? Comment down below! This entry was posted in book meme, Monday musings. Bookmark the permalink.